Have you heard of Baby Sara? Have you seen their Spring/Summer 2018 collection? If not, you are missing-out. Baby Sara is division of better known brand Hannah Banana. Baby Sara is a unique brand of infant, toddler and little girls clothing in sz 12m to sz 6x. We have been carrying this past 13 years and and this season even we are in awe of this beautiful collection! First of all, all prints and fabrics are exclusive and are designed in house. Secondly, absolutely fantastic styles and chock full of embelishments that you won’t find on any other designers clothing for little ones. Regardless of the occasion, whether is it’s a little girls shorts outfit a funky romper or pretty dress, all items feature an amazing amount of workmanship and details. We love each and every item this season! And so many other cute things! Spring is just around the bend. Spring brings with it the Easter holiday and, for the tweens/teens in your life, the Spring Dance. If that special girl in your life has yet to find her perfect Easter or Spring Dance dress, the Little Fashions Boutique has a variety of unique and beautiful Isobella & Chloe Easter dresses and special occasion dresses to choose from. The Isobella & Chloe line is produced by Best of Chums; a company that has been creating one-of-a-kind Isobella & Chloe apparel with handmade appliqué and colorful designs for years. The Isobella & Chloe Spring 2015 collection makes it easy to see why Best of Chums received the Earnie Award in the ‘Best Dress Collection for Little Girls’ category. This amazing Spring 15 line is now available at the Little Fashions Boutique! At the Little Fashions Boutique, we are happy to offer our clientele exclusive Isobella & Chloe clothing. This year’s Easter line does not disappoint offering dresses and outfits adorned with unique appliqués, ruffles, tulle skirts, ribbons and lace. 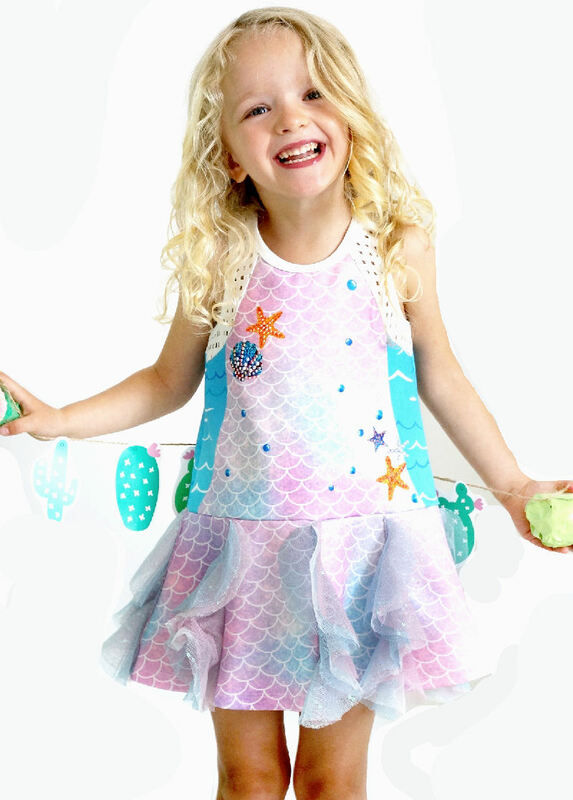 Whether you are looking for well-made toddler outfits or top-of-the-line tween/teen apparel, the Spring 15 line of Isobella & Chloe Easter dresses and outfits is sure to please. 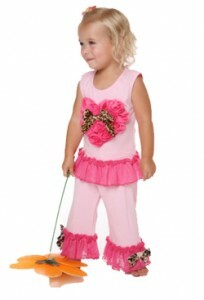 Does Your Little Girl Love to Dress Up? Many little girls love dressing up; and no special occasion is needed! In fact, a trip to the grocery store sometimes calls for an elegant and perfectly designed dress or outfit. If this is the case with your little girl, even if she already has her Easter dress, consider surprising her with one of the beautifully crafted Isobella & Chloe little girls dresses or outfits available at the Little Fashions Boutique. At the Little Fashions Boutique, we don’t just cater to the smaller girls with ribbons and lace; we also offer beautifully designed Isobella & Chloe Easter and Spring Dance dresses for that extraordinary tween/teen in your life. Chances are, your tween/teen wants to be the center of attention as she enters the dance. There is no better way to help her accomplish this than with one of the gorgeous, distinctive Isobella & Chloe dresses available at the Little Fashions Boutique. Even if your tween/teen is somewhat shy, she will surely step out of her shell while wearing one of the avant-garde Isobella & Chloe designs we have available at the Little Fashions Boutique. 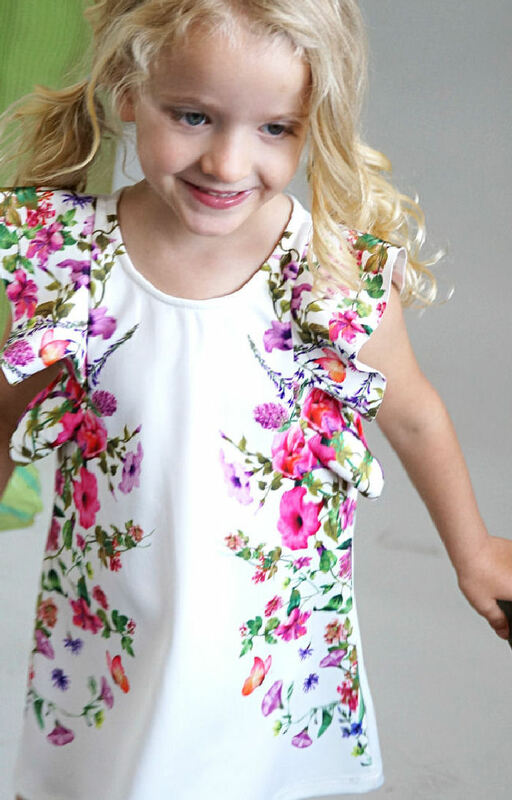 It is easy to see why Isobella & Chloe’s Secret Gardendress is a top seller at the Little Fashions Boutique! Inspired by vintage designs, this layered dress offers overlapping, soft pink tulle that is lined with ivory lace. 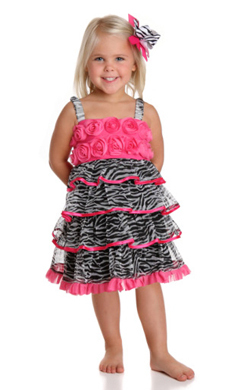 This dress is available in sizes ranging from 2T to 14. A pair of our sparkly, sequin adorned ballerina shoes (3Yth to 6Yth), is the perfect addition to complete this darling Easter look. 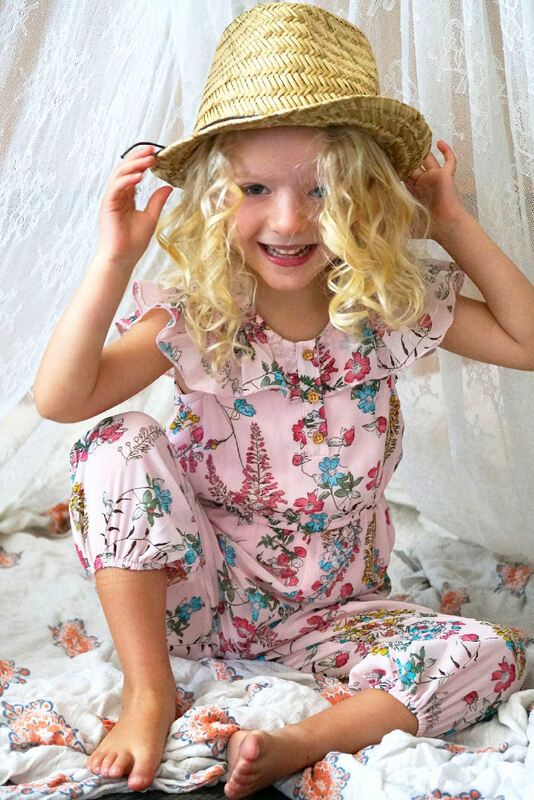 We also offer a matching little sister outfit (12M to 4T) and headband – making this Isobella & Chloe ‘Secret Garden’ design ideal for Easter pictures! If you are looking for a fun, colorful dress, look no further! The bright colors in this Isobella & Chloe “Spring has Sprung” dress are sure to bring on a smile. The vibrant tangerine bodice combined with the multi-color, ruffled tulle skirt will make her easy to spot at the annual Easter Egg Hunt! This dress is available in sizes 4 thru 12. She will look and feel like a princess in this magnificently designed soft pink, flowing dress. This Isobella & Chloe ‘Strawberry Shortcake‘ dress has two matching rosettes to add a bit of whimsy, while the polka dots offer dimension. This dress is available in sizes ranging from 2T to 6X. At the Little Fashions Boutique, we have breathtaking Isobella & Chloe dresses for those special events in her life. We also offer fun and lively outfits for a day at the zoo and girls swimsuits so she can remain stylish as she walks along the beach to gather seashells. No matter the occasion, the Little Fashions Boutique has just what you need; we know that wearing magnificently crafted apparel is always in style! Have you heard about One Posh Kid? No? Well, neither have I until the owner of One Posh Kid owner contacted me last year and suggested that I take a look at their Spring 2012 Collection. It was love at first sight. Adorable little girls dresses & outfits in bold colors and prints with fun rosettes and creative embelishments simply melted my heart. One Posh Kid became a customer favorite right away. We were even more impressed when we received out shipment, quality of One Posh Kid did not disappoint either. If you did not get a chance to shop for One Posh Kid clothing thsi spring, it is not too late. We still have some amazing outfits in stock and they are now discounted. birthday or she is going to her friend’s. pant ruffles. She will receive an incredible amount of compliments in this fabulocity. Great for a birthday party or a family barbecue. Mother’s Day is a special Holiday in our lives and those of you who have daughters will surely want to capture this beautiful day with professional photos. Sometimes, it’s hard to find that special Mother’s day Dress for little girls. However, at Little Fashions Boutique, we make that choice very easy. You will find a surprisingly great selection of whimsical & fun girls tutu dresses that you won’t want to miss. We have little girls dresses for all ages in a variety of styles: trendy tween dresses, little girl’s dresses with tulle skirts & embelishments & precious baby girl dresses. One of our favorite designers for Mother’s day pictures is Biscotti. Biscotti Girls Dresses are offered in infant, toddler, little girls sizes and go upt to size 16, there’s something for every age. We just reduced our Summer 12 collection so you will find great deals on Biscotti dresses. If you are looking for something sparkly but trendy, you may like Special Occasion Dresses by Haven Girl, they are offered in size 4 to 6x and 7 to 14 and we have quite a selection.